Man am I impatient for the diamond age. At least one of the first prophecies is coming true: food printers. Yes, soon (?) 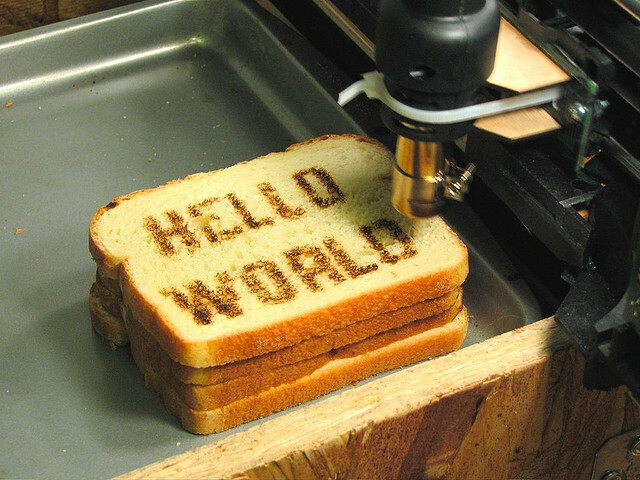 you will be able to print your own food. 3D printing technology is pretty amazing, I guess food is a logical next step. The next fifty years are going to be a trip.